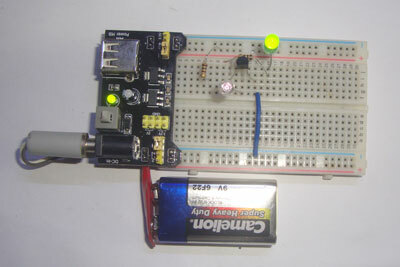 Use a two pin socket as test points A and B. 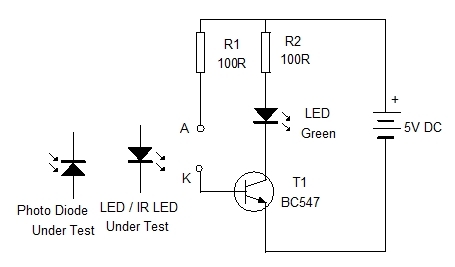 When the IR LED or Ordinary LED is connected to the Test points – Anode to A and Cathode to B, Green LED in the tester lights to indicate that the IR LED is good. Reverse the direction. If the Green LED still glows, the IR LED is shorted. 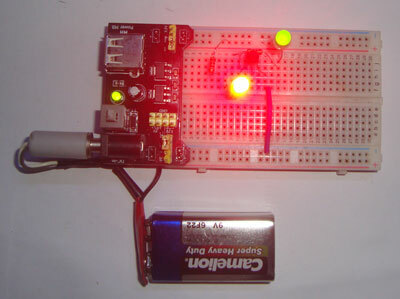 If the LED is the ordinary type, it also lights along with the Tester LED. Connect Cathode to A and Anode to B. Green LED lights if the Photodiode is good. Reverse the direction. 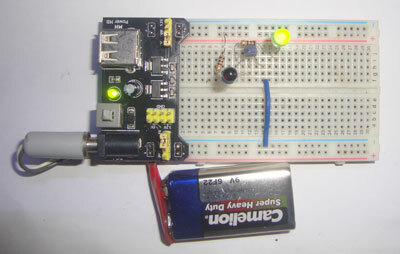 If the Green LED still glows, the Photodiode is shorted. Same procedure as the IR LED testing.